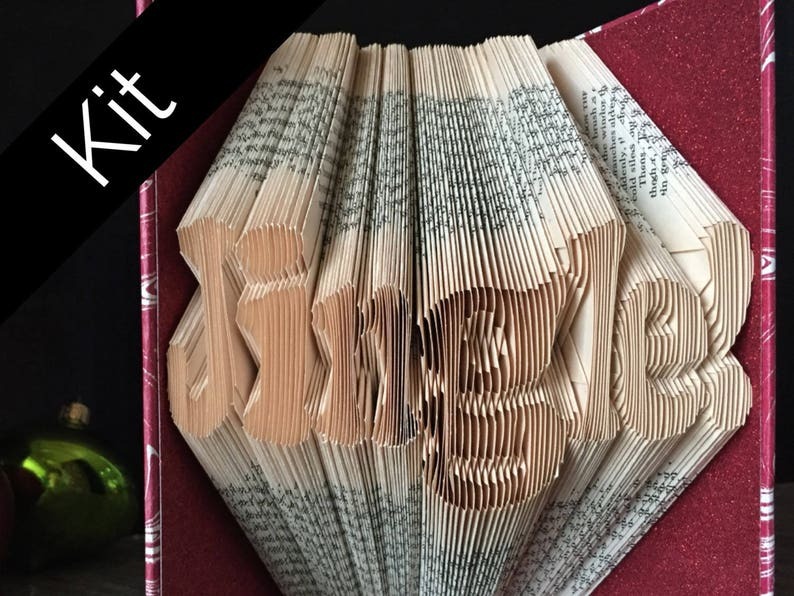 Folded Book Kit for Christmas - Jingle - Includes Book to Fold! 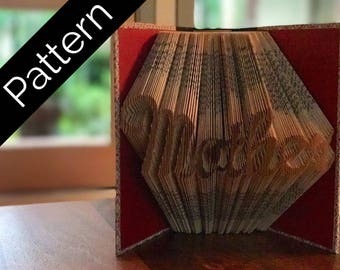 Create an amazing folded book like you've seen on Etsy and Pinterest with this fun Folded Book Kit. When you're done, decorate your home with this eye-popping holiday treasure, or give it as gift--sure to please your book-loving friends. Learning to fold books is easy and relaxing--really! •	Full-color 9-page instruction book. •	Reader's Digest Condensed Book to fold. Pick your book cover color. •	Pattern for the word "Jingle!" Reading With Scissors specializes in re-imagining new life for old books. Our books have been featured in All You magazine and on the leading blog for papercrafters, All Things Paper. 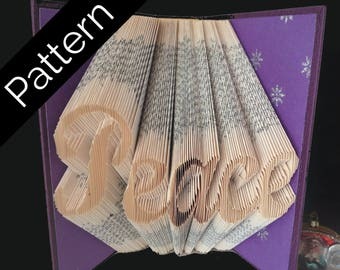 Folded Book Kit for Christmas - Peace- Includes Book to Fold! Folded Book Kit for Christmas - Believe - Includes Book to Fold! Folded Book Kit for Christmas - Naughty - Includes Book to Fold! 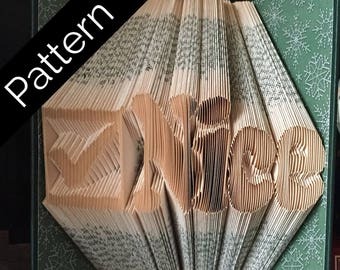 Folded Book Kit for Christmas - Nice - Includes Book to Fold! Folded Book Kit - Love - Includes Book to Fold! Folded Book Kit - I heart you - Includes Book to Fold! Always wonderful service and artful product. The best!! Was very pleased with seller going the extra mile helping me with unique request. She is absolutely lovely to work with!! I have ordered two things from her and will order more. Here work is done with care. Extremely fast shipping and excellent packaging! This was SO well done! The seller is just wonderful to work with! I will definitely order from her again! Above and beyond artist and seller! LOVE!